River North businesses, residents, and developers have been working with Denver Parks and Recreation and Denver Public Works to transform a soulless stretch of road with heavy truck traffic along the South Platte River into a place for people to safely walk, play, and get closer to nature. If all goes according to plan, Arkins Court will become the “RiNo Promenade.” Last night, designers with Wenk Associates gave an update on the project, which would stretch from 29th Street to 38th Street. 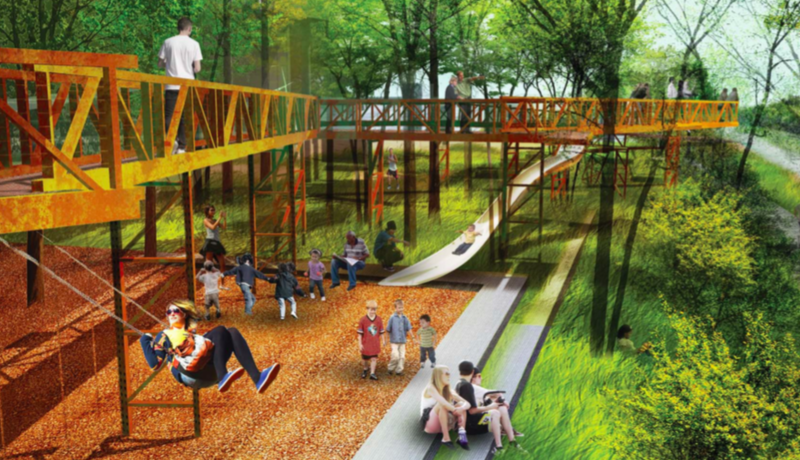 Among other things, the project would give people a safe path to walk above the banks of the South Platte River, dotted along the way with places to sit, gather, and play. It would also slim Arkins Court down to a 22-foot-wide street designed for calmer traffic and safer pedestrian crossings. 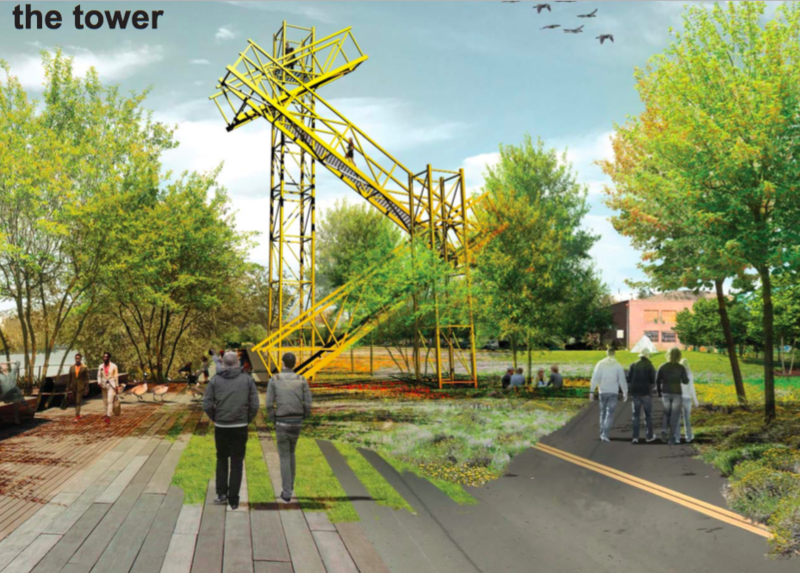 Planners estimate that the entire RiNo Promenade will cost between $12 million and $18 million, depending on the final design. It might take about two years to complete — after they find funding, which is a question mark. Right now officials are banking on the city’s 2017 bond initiative for a big chunk. 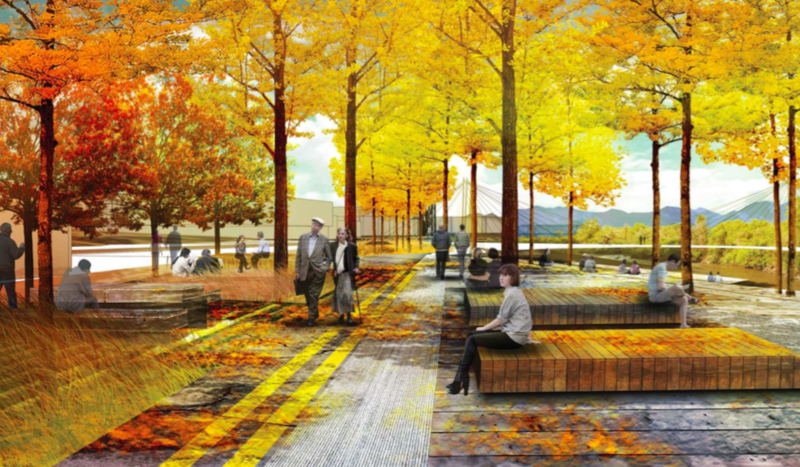 Planners see the promenade as a walking path to complement the existing riverside trail, which is better suited for biking, but they also view it as a neighborhood park and tourist attraction. 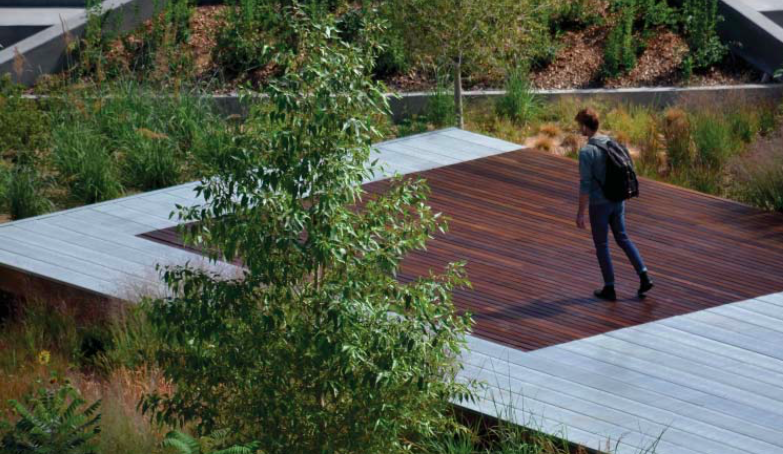 They drew parallels to New York’s High Line, an elevated park repurposed from an old freight railroad. The promenade would not be elevated, but like the High Line, it would recall the neighborhood’s history. RiNo’s background as a brick-making center and an enclave for artists, for example, would inform “simple, bold, and honest” themes, designers said. Few neighborhoods exhibit Denver’s urbanization as starkly as River North, where a string of industrial buildings and surface parking lots are giving way to walkable homes, offices, restaurants, and retail space. Public Works is changing streets to accommodate people too — two-waying and adding bike lanes to Blake Street and overhauling Brighton Boulevard. Arkins Court is the latest example.